I started writing this article before I had completed the arc. 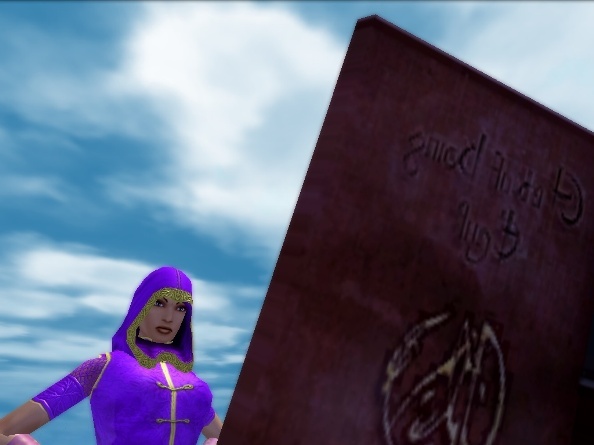 Before I had witnessed the death that will change the face of City of Heroes forever. I was angry, and I really didn’t know the details of his death. In fact I went out of my way to avoid any information. But when the most iconic figure in your game is killed off it’s hard to ignore that. We found out well in advance that our beloved Statesman would die. A move that overall annoyed me. Though I can kind of understand why it came about. Statesman is…was my favorite hero in the City of Heroes universe. I promise you I will keep this article as spoiler free as possible while still discussing my many, many issues with what happened. There really was no way for me to write about this in an impartial way. My feelings about this issue are quite strong. No, this won’t be a happy plug for how wonderful Paragon Studios is. Though they are wonderful. I just feel this choice was wrong, and made for all the wrong reasons. When they first announced that one of the Freedom Phalanx would die, one of the surviving eight I just knew, deep down that it would be Statesman. Maybe I assumed this because he was my favorite and I was paranoid. Who knows. He survived the Rikti War, World War One and Two, a number of alternate world versions of himself only to finally be brought down on a stormy day. All I could do was sit there and ask myself why? Why Statesman? Why now? To find some of these answers I needed only to look at the information put out by the devs, in particular Matt “Positron” Miller. Ultimately, he says it only happened because Freedom gave them the time to spend on doing what was a major project. Being the main hero in the game, Statesman is everywhere. You see him in hero missions, villain missions, and of course he is the contact for the Statesman Task Force. That still doesn’t answer the ‘why Statesman’ question though. Two big reasons have come out. Two that annoy me and in three seconds I came up with a better (in my mind at least) way to go that didn’t kill anyone. 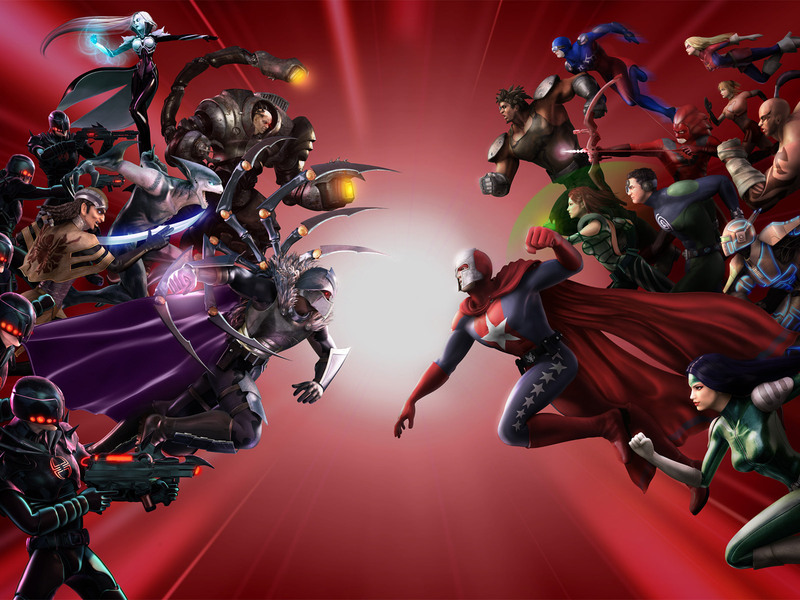 The first reason that seems to be the most popular is that Statesman is the creation of Jack Emmert, the lead designer for City of Heroes when it was still new and run by Cryptic Studios. He is greatly disliked by the community. As this all happened before I joined the game I really don’t see the problem; maybe if I had joined City of Heroes while he was still around my feelings would be different. According to Positron (the dev) there have been discussions and questions about killing off Statesman since Paragon Studios took over. Which is where I start getting annoyed. Ok, people don’t like Jack Emmert, that’s fine. But Statesman, in Paragon City does not equal Jack “Statesman” Emmert. Its just…well the only word I can think of is meta. Well, I can think of a few more but my editor might frown on me using them. So I will simply say RAGE!!!!! So what is my idea that I think is so much better? Retirement. It wouldn’t be the first time Statesman has gone off the radar of the heroing world. The man was over 100 years old. If, as has been said, we players are stronger than him then he should have had no trouble hanging up his cape and moving to Florida. Maybe without the Florida bit though. He has certainly earned the right to a bit of a vacation. And I think he didn’t have an ego so large he couldn’t or wouldn’t step back for the new age of heroes to begin. In the end though, they chose to kill him. Which is quite sad. If the boards are anything to go by though this action is well supported by the community and I’m in the minority here. By now you may be sick of hearing what annoys me but let’s add one final annoyance to the list. Statesman will still be in the tutorial and used in images in the game and in promotional items. The reason for him still being in the tutorial are stated once again by Positron. The events of the tutorial take place before Statesman’s death. Which is something that goes against everything I thought about the tutorial as I thought it was something that was a “currently happening” thing no matter when you start the game. This could make things a little bit hairy for roleplayers. With a few issues in the arc where Statesman is killed still to be published there is still a chance to redeem the story for me. No, I’m not suggesting they bring him back from the dead. That’s something that is really overdone in my book. I’m suggesting his best friend and arch nemesis, Lord Recluse kill the person who killed Statesman. This really would make it all worth it for me. Icing on the cake would see Lord Recluse stepping up and taking Statesman’s spot as the head of the Freedom Phalanx. Only time will tell what will come. Statesman will be greatly missed, at least by some of us. The world of City of Heroes will never be the same without him. I will end with the final words from the Eulogy by Positron. Statesman is now one with the spirit of Paragon City. Godspeed, my friend.